The entire smartphone industry is rapidly moving towards OLED screens. The feature has started trickling down from premium smartphones to even mid-range and low-end devices. Almost all premium smartphones today come with an OLED panel. But LG Electronics has reportedly decided to ditch the OLED screen from its upcoming flagship in favor of LCD panels. The LG G7 was supposed to launch at the Mobile World Congress (MWC), but its release was pushed back because the prototypes lacked any attractive selling points. Sources familiar with the Korean company’s plans told The Investor that the LG G7 (or whatever it’s called at launch) would feature an LCD screen. Last year’s LG G6 also had an LCD panel. The company first used OLED screens on last year’s LG V30 and then again on the recently launched LG V30S ThinQ. But the new display technology failed to boost the V30’s sales. According to The Investor, LG is going back to LCD in an attempt to keep costs down. LG’s smartphone business chief Hwang Jeong-hwan said at the Mobile World Congress (MWC) that the company wouldn’t increase the prices of its smartphones due to “unnecessary features” that customers don’t use. Though OLED screens offer distinct advantages over LCD panels, they are 2-3 times more expensive than their LCD counterparts. For instance, IHS Markit estimates that the 5.5-inch LCD screen for the iPhone 8 Plus costs Apple $52 while the 5.8-inch OLED display for the iPhone X costs $110 per unit. OLED panels are slimmer and more energy-efficient than LCD screens. OLED offers improved contrast, brighter and more vibrant colors. However, smartphone vendors have managed to close the gap by using a few tricks in LCD technology. According to The Investor, LG Electronics will use MLCD+ display technology on the LG G7. It offers enhanced brightness and consumes 35% less energy than a traditional LCD screen. Even though LG is sticking to LCD technology for now, it will have to switch to OLED screens when foldable smartphones become a norm, says Hana Investment analyst Kim Hyun-soo. Sources told The Investor that one of the reasons LG is going to back to LCD is that Apple’s OLED-based iPhone X failed to sell in huge numbers. Apple’s notched iPhone has been a huge disappointment. KGI Securities analyst Ming-Chi Kuo told investors that the Cupertino company would launch a 6.1-inch LCD iPhone later this year that would account for more than 50% of new iPhone sales. The LCD iPhone would launch alongside a 5.8-inch OLED iPhone and a larger 6.5-inch OLED iPhone. The LG G7’s LCD screen will help it reduce costs amidst sustained losses at its mobile division. The company’s smartphone business has been incurring losses for the last 11 straight quarters. The LG G7 is said to be its last attempt at reviving its smartphone business. LG Electronics has lost almost all its ground to Samsung and Chinese vendors such as Oppo, Vivo, Xiaomi, OnePlus, and Huawei. HMD Global’s Nokia-branded phones are another threat to LG. Recent reports suggest that LG G7 would have a notch at the top similar to the iPhone X to accommodate the front camera, ear speaker, and other sensors. Android vendors such as Nokia, Huawei, OnePlus, Asus, and others have either launched or are rumored to launch phones that mimic the iPhone X’s notch. LG had secretly previewed the G7 prototypes at the Mobile World Congress (MWC). According to the rumor mill, the LG G7 would sport a 6-inch display with 1440 x 3120p resolution and 19.5:9 aspect ratio. It would be powered by 6GB RAM and Qualcomm’s Snapdragon 845 chipset. It would also have two 16-megapixel vertically mounted rear cameras, a 3,000mAh battery, 128GB of internal storage, a microSD card slot, and Quad-DAC audio system. There would be an 8-megapixel camera on the front. 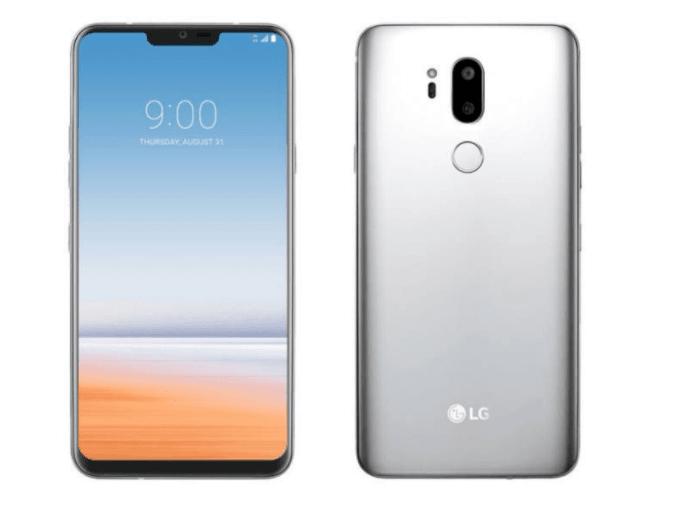 The G7 would also get AI features introduced with the LG V30S ThinQ. Sources recently told ETNews that LG was planning to hold a media event in late April or early May to unveil the LG G7 and G7 Plus. The handsets are expected to hit the store shelves in May. It means the G7 would arrive almost 15 months after the G6, which was introduced in February 2017. LG Electronics has said that it would not stick to an annual upgrade cycle. It would bring new phones when it has something new to offer. There is a good chance the LG G7 would launch under a different moniker. The company is exploring rebranding options to revive its smartphone business. Hwang Jeong-hwan told media at the MWC that LG had internally discussed new naming schemes for the upcoming flagship, but nothing has been finalized yet.